Roger Smith's Steam in the sixties page.Also. Jaguar XK150 for sale. Sorry about that. Adverts finished. Both the above are on the behalf of friends and are genuine. 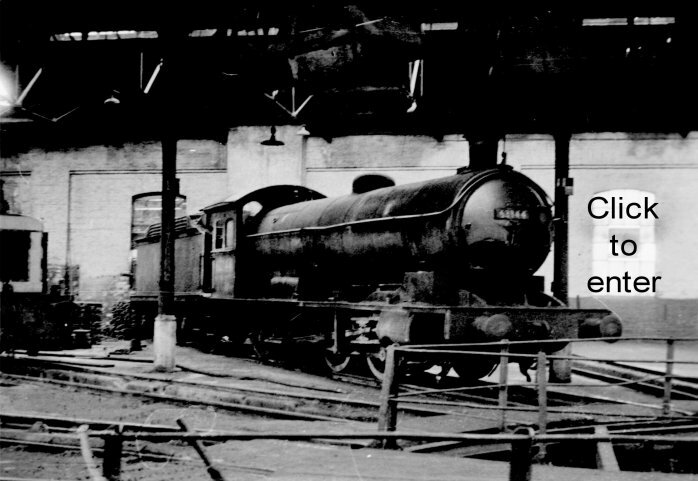 For most of my early teens I was consumed by a passion for railways – steam railways in particular. I couldn’t afford the cost of processing the film, but always had a film in my Ilford Sportsman. I also managed to get about a bit thanks to a spot of ‘nevering’ and the lifts given to me by older enthusiasts (eternal thanks to them). As a result of this poverty my films languished undeveloped in an old Quality Street tin. That day has now come and the fruits of my labours are slowly being revealed. There will be days spent on Copy Pit, nights spent at Huddersfield, weekends spent on Shap and Ais Gill. Rose Grove, the Grassington branch, Manchester Vic and Exchange, Preston, Saltaire and much more. Unfortunately the film has deteriorated, but the results are passable. I will endeavour to publish these pictures on the web as time permits. I make no apology for the quality, and hope you will enjoy them as much as I do. A modern Digital SLR is a wonderful piece of kit – I even use mine for copying the film negs to the PC. A whole film in 5 minutes!! I have even managed picture of the week in Roger Stronell’s ‘Steam Train Galleries’. Please also pass the link on to others you think may enjoy it. Click on the picture of the Q6 below to enter. After steam finished on BR, I found a new passion in Motorcycles - but that's another story. Also, I appreciate feedback, of all types, but due to spam I don't publish my email.